SAN JUAN (Reuters) - The executive director of Puerto Rico's federally created financial oversight board said on Monday that a plan to restructure the U.S. commonwealth's core government debt likely cannot be done by the end of April. 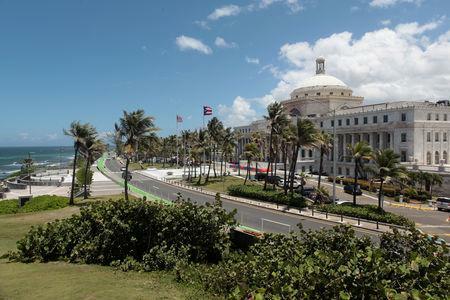 An attorney for the board last week told a U.S. judge who is hearing Puerto Rico's bankruptcy cases that a draft plan was expected next month, according to local media reports. But on Monday, the oversight board's executive director, Natalie Jaresko, said the attorney meant to say that the plan could be filed with the court "at best" in April. "I don't think it's highly realistic to do this by the end of April," Jaresko said, adding that board's goal is to seek court confirmation of a plan before year end. "We're trying not to do a cramdown, but I don't know where that's going to end up in the end," Jaresko said, referring to a process where an adjustment plan could be imposed on certain creditors. 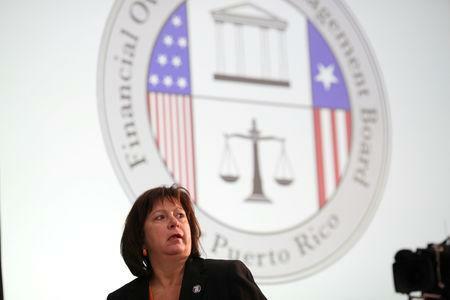 "I think the Promesa law is working right now," Jaresko said, adding that she cannot predict whether Congress would seek to revise it. The privatization of Puerto Rico's bankrupt power utility, PREPA, is "moving forward," but its pace "needs to improve," Jaresko warned.